After Avatar premiered on the big screen I noticed it having a strange effect in some of those around me. Then the headlines pointing out how there was a rise in depression from some who watched the movie. This cause was pinned on the movie being “a little too real” CNN with that being followed up by pinning it on the intense visuals. This left me curious, there is a real effect being caused but the explanation of visuals for the cause did not make sense. After watching Avatar Eric and I talked about the experience and the feelings left behind and he pointed out the cause. 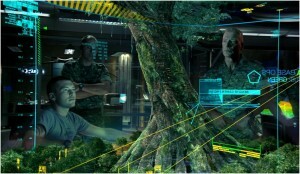 Experiencing Avatar gives one a religious experience stimulating metaphysical urges. If lacking in one’s life this will leave a longing, drawing attention to the emptiness that already exists in their life. Due to our secular society this whole event is felt but probably not realized on a conscious level. It’s human nature to feel the need for a connection. This need is what drives us as a species to be social creatures. This is not only one sought between each other but also between our environment around us and to a greater universe. This is the deeper purpose that mythology and religion serve as they help us to get connected to one another, our environment and the greater universe. Without it one is left with a restless longing. This longing can be ignored or temporally filled but it still persists if those connections are not made. Our secular society has become quite adept at even distracting ourselves so much that the longing is numbed. Avatar does something amazing by giving the viewer an experience of a beautiful setting in which the characters have a deep connection to each other, the environment around them and to a greater universe giving immediate validation of that connection. 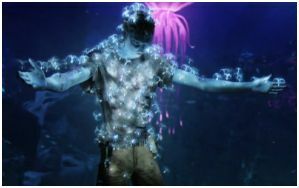 This starts with the viewer being able to relate to Jake who through a dreaming state gets a direct neural transmitted connection to a Na’vi. Through the Na’vi we are connected to the rest of the world around. A Na’vi does not just climb on a mount and ride around or fly around on it. They make a neural connection to the mount, a bond that is very deep and reciprocal. It is a connection that has immediate reward and shown true through the creatures response. They connect with those that came before them through the Tree of Voices. This connects the Na’vi to their ancestors and validates this afterlife with immediate feedback. Connecting to the Tree of Voices they can hear the voices of their ancestors. The connection to a greater universe is shown through Eywa and the Tree of Souls. Through this experience we see the validation of a person's soul and it’s ability to transfer from one back into nature and even it’s ability to reincarnate transferring from one body to a new one. The validation goes so far that even Eywa validates the prayers of the people. While experiencing the movie we also experience the deep connection and the validation of that experience. Once the movie ends so does the experience. The audience member returns to their life and if they have a longing it is made apparent and thus the feelings of depression and a strong desire to return to the Na’vi. The sad thing is because we live in such a secular society many will not realize on a conscious level those metaphysical urges were stimulated. Then the distractions set in and attempts to ignore the feelings. Pushing the longing back down into the unconsciousness and Missing the opportunity to take edifying action. Eywa is the great spirit of Pandora revered by the Na’vi and represented through the interconnectedness amongst all of the flora, fauna and indigenous peoples. The Eywa is most represented through the Tree of Souls, Tree of Voices and the Atokirina which are little floating airborne jellyfish like creatures. The Atokirina’ are seeds from the Tree of souls that float around on the air of Pandora. They are viewed and revered by the Na’vi as spirits sent from Eywa. Their presence is viewed as a sign to the people to help them and guide them. The Utral Aymokriyä is a tree kind of like a weeping willow but the branches hanging down are full of neural connections. These trees are viewed as a sacred space. The Na’vi can connect to the branches and hear the voices of their ancestors, kind of like a prayer space. They also partake of the more sacred rights under the branches of the tree like marriage rights. The Ayvitrayä Ramunong is a tree similar in appearance to the Tree of Voices except it has a massive root structure that is close to the surface. 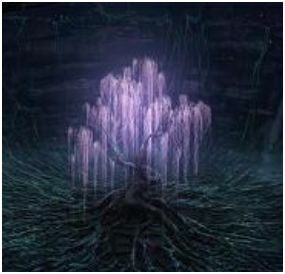 The Tree of Souls can make neural connections to the Na’vi and other creatures around it by sending out many small tendrils. Through that connection one can get a direct experience of Eywa. They can even transfer souls from one body through Eywa and back into another body.